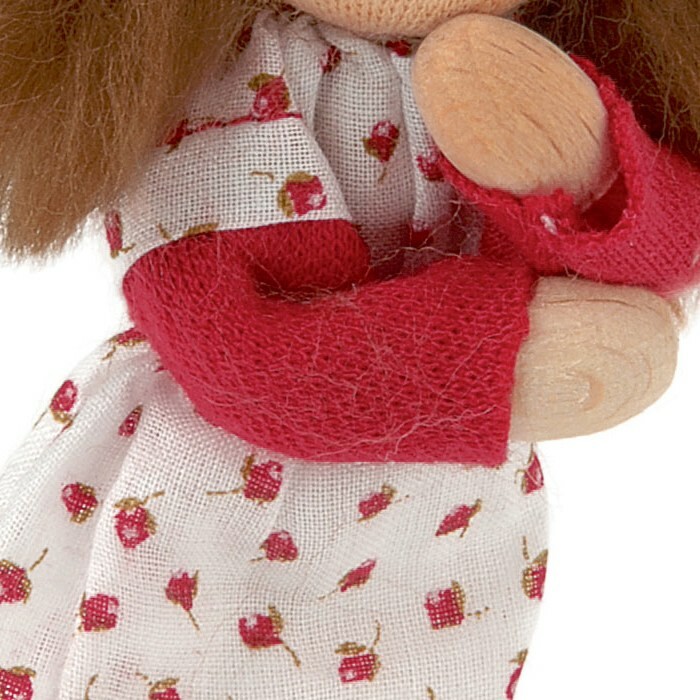 The Nana miniature poseable Waldorf girl doll has a hand painted fabric head and wears a rose pattern dress with white pants. 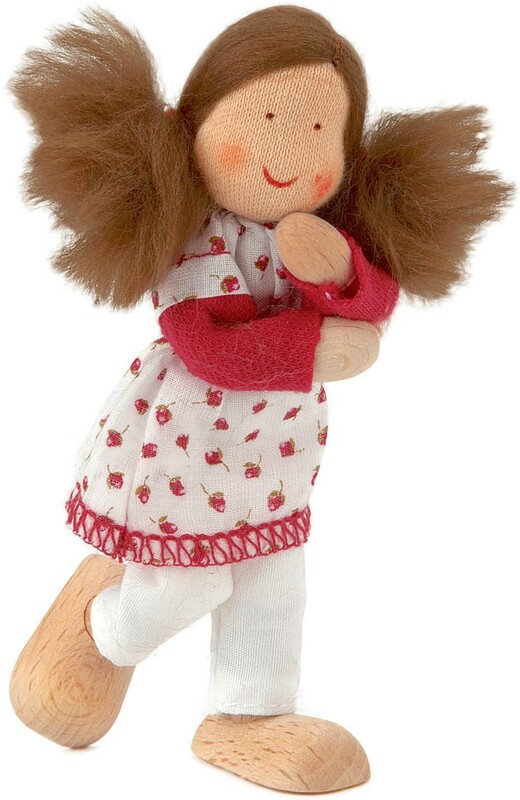 Her feet are wooden and provide a stable base for different positions. 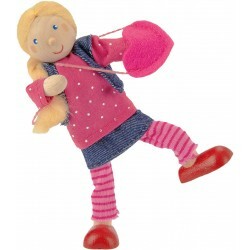 The arms, legs and body are made from thick flexible fabric covered wire that can be repeatedly bent and repositioned. 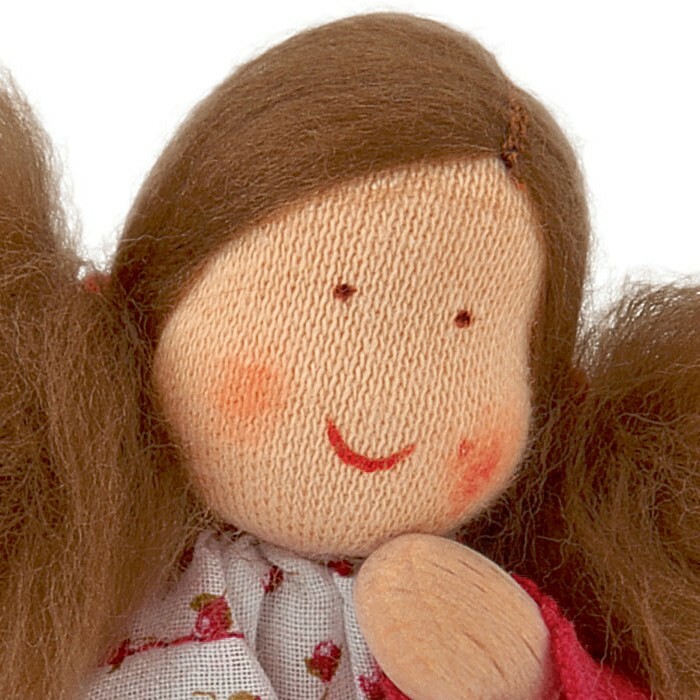 Her head is stuffed with wool. 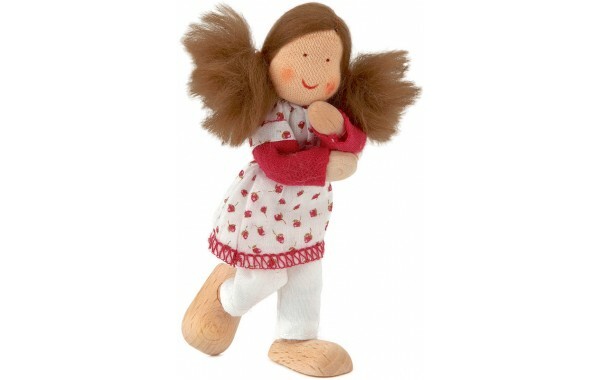 Nana is suitable for dollhouse play or for creative use on any flat surface with other poseable dolls or homemade props. Manufactured with great attention to detail and packaged in a windowed display box.